There are bound to be countless things that happen around you everyday that you have no control over. You can’t control how other people think or what they say, you can’t control the traffic jam that happened on the interstate, and you can’t control the fact that Chick-Fil-A ran out of Waffle fries lol! However, you most certainly have full control over how you respond to various situations. You can choose to react with negative energy or positive energy. 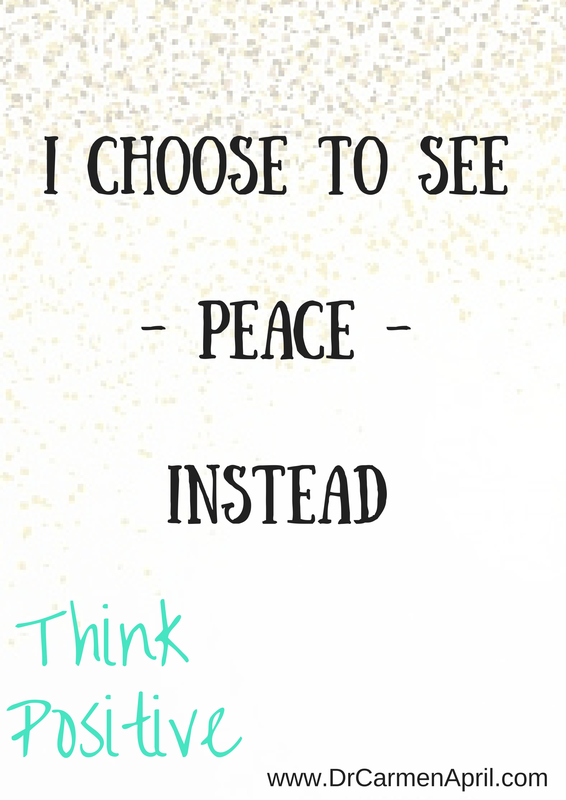 You can choose to think ugly thoughts about people and circumstances around you that annoy your or you can choose to see Peace instead. I say this over and over to myself, quietly or out-loud, until I start to feel my energy tip the scales back into the positive direction. Your words and actions reflect your inner feelings and thoughts so if you convince yourself to see peace instead, that is exactly what will happen and you remain in control!! Try this the next time you become frazzled by something that happens out of your control and remember that the ball is in your court when it comes to deciding your response to it!